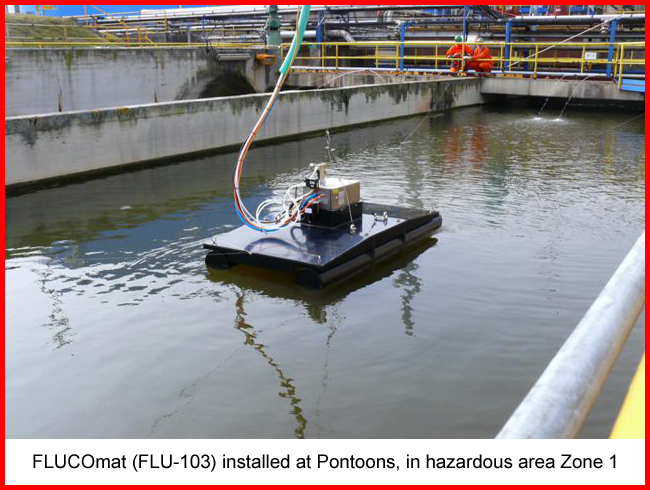 In a variety of industries such as production facilities, power plants, sewage treatment plants, sea-, inland- or airports, represents the contamination of water with oil, problems for process and environment. 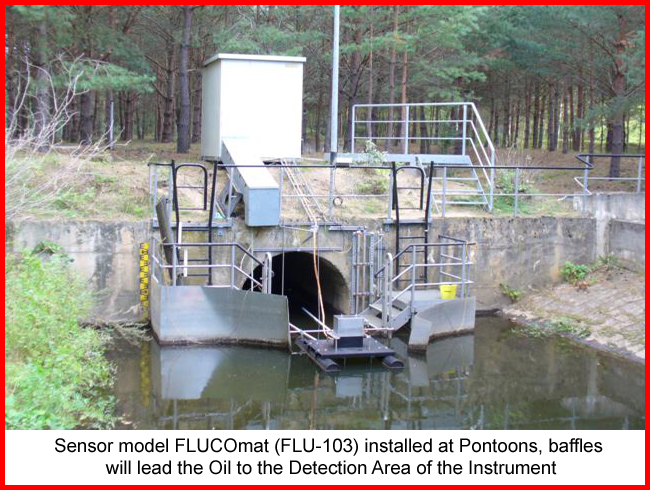 The oil monitoring systems models FLUCOmat & IRmat offer a reliable and cost-effective method for the early detection of oil in water. 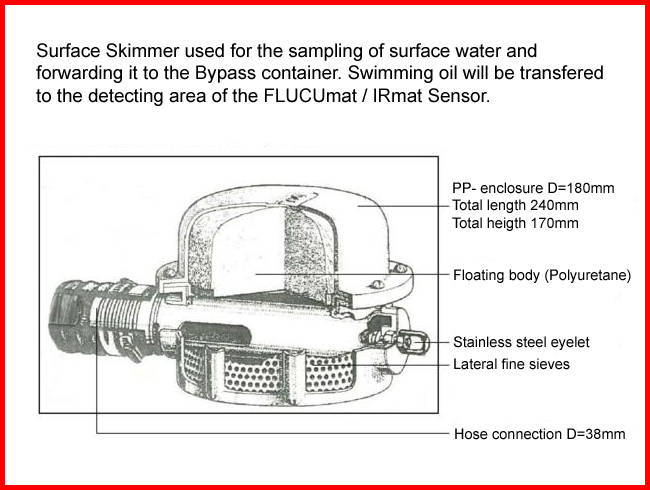 Even very small amounts of oil will be detected. 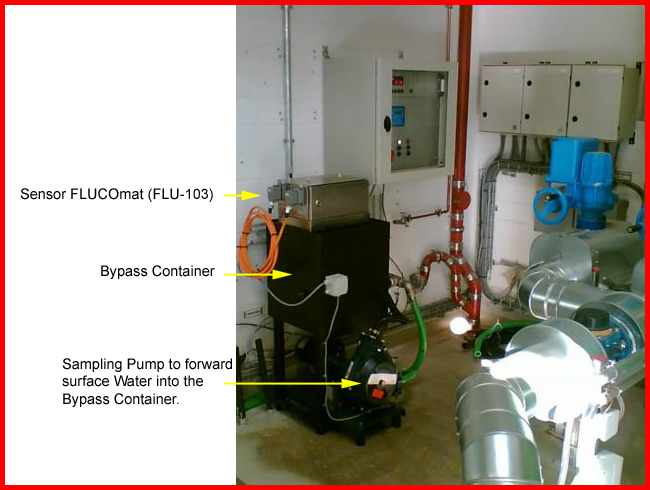 This allows an immediate action to protect process and environment. Why oil on water and not oil in water? This question is easy to answer, oil floats and is typically not homogene distributed in the water. The highest oil concentration is typically in the upper part of large pipes or at the water surface. Therefore surface scanning allows detecting even low amounts of oil without problems by providing an oil alarm in case of to much oil. 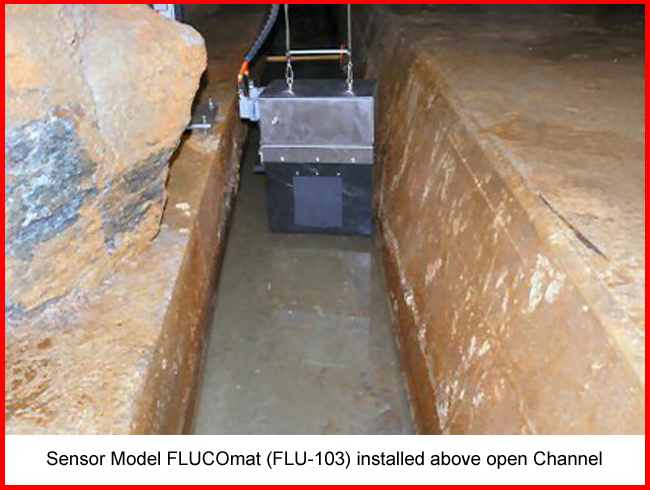 The oil monitor model FLUCOmat detects the fluorescence of unsaturated hydrocarbons in oil. 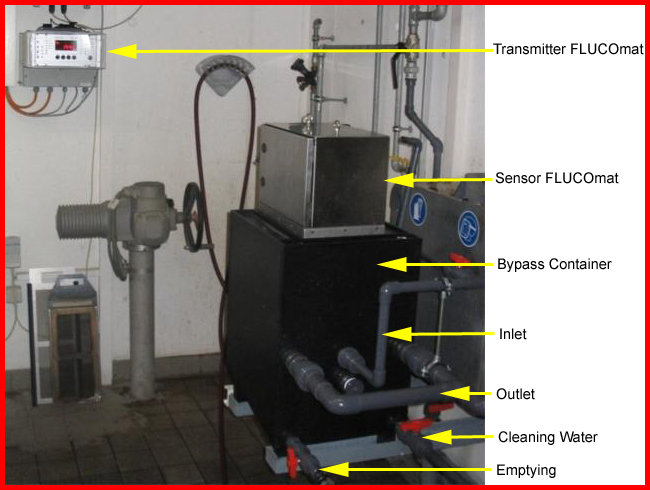 This method allows the detection of very low oil amounts starting at about 0.1 ml/m², in real time. 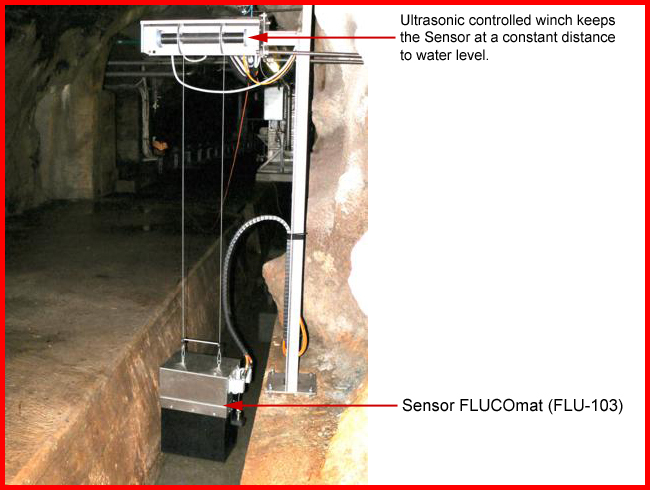 The Sensor installation must be in a fixed distance to the water surface, to guarantee perfect sensitivity. The long life UV- lamps (optional UV- Led's) and the non contact monitoring method makes sure, that the device is extreme low in maintenance. 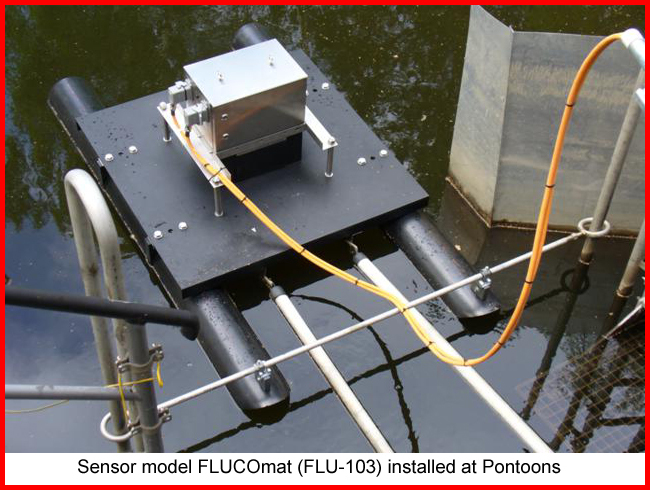 The sensor model IRmat uses the principle of infrared surface scanning for non contact oil monitoring. 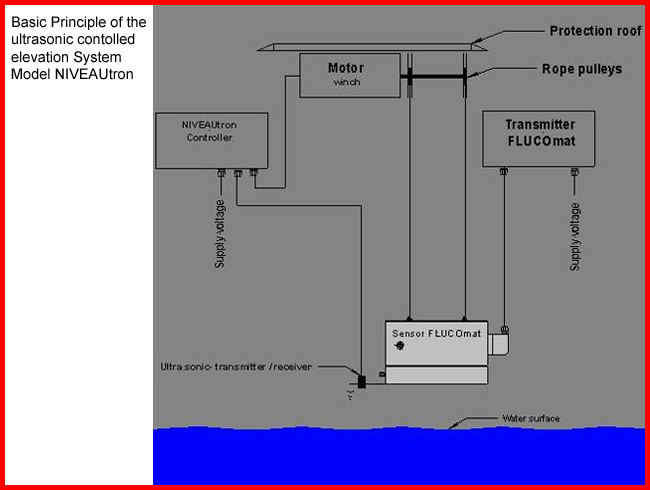 The sensor scans the water surface and detects the optical interferences at the oil/water borderline. This method provides an excellent sensitivity and allows the detection of even low amounts of oil, starting at approximately 0,3ml/m².